it's always sad to say good-bye to summer and this one felt particularly short-lived. 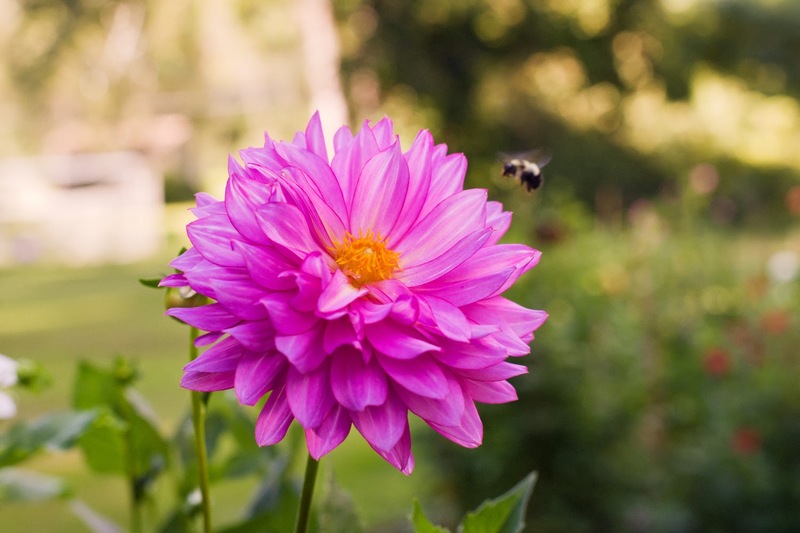 but for the past few years the end of summer has been greeted with dahlias and my dahlias are blooming in earnest. 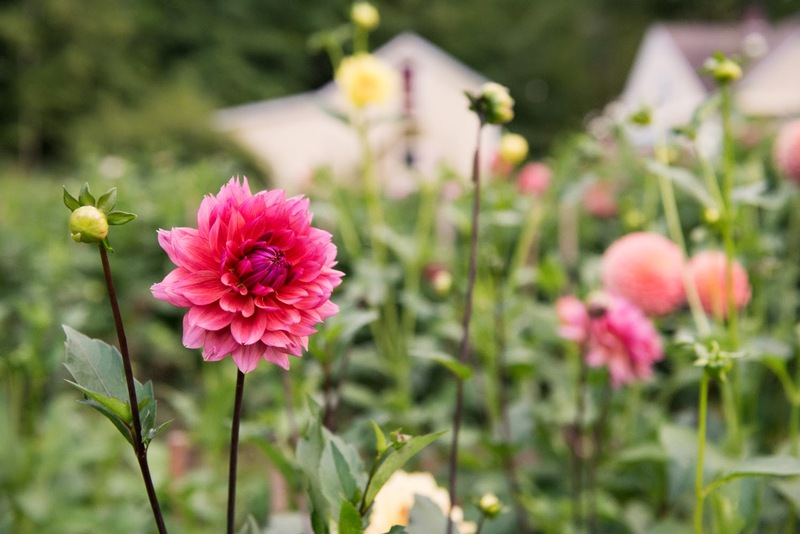 "I order my tubers from Endless Summer Flower Farm in Camden, ME or Swan Island Dahlias in OR. Their tubers are great. 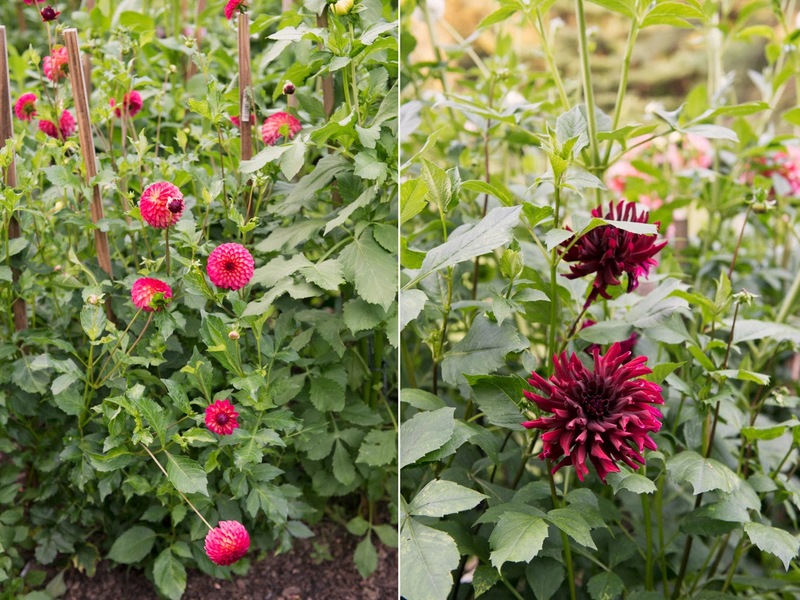 This year I've planted tubers from Dan's Dahlias and Old House Gardens. They seem pretty good at the time of planting and they all (but one) sprouted (likely my fault since I never opened the delivery boxes until the day before planting). 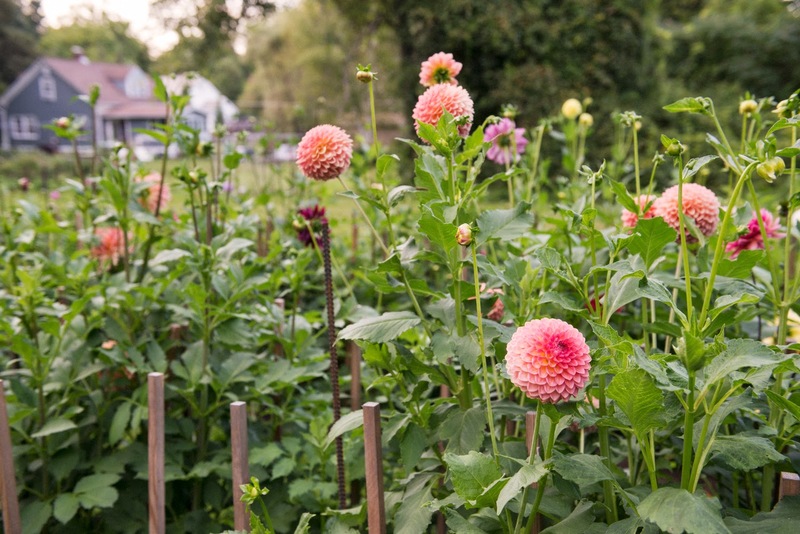 I do save my tubers at the end of such season which is how I now have such large dahlias beds. This year I needed to expand to 2 more beds! 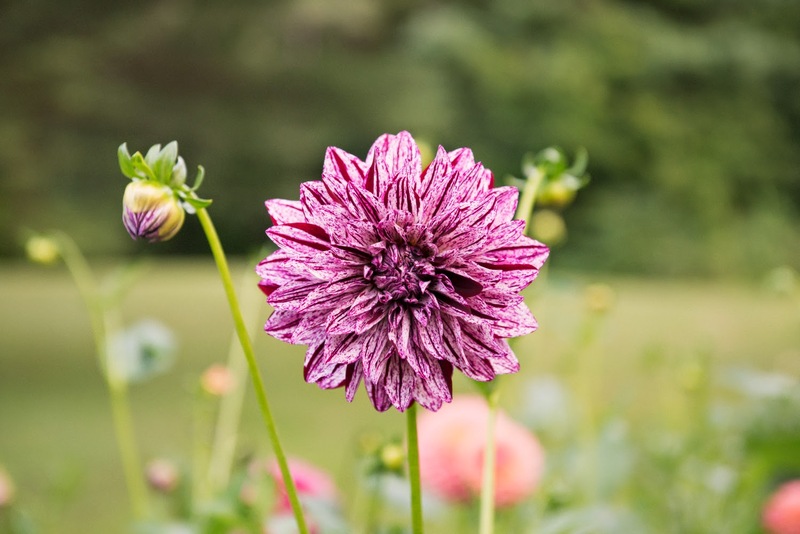 As for growing resources, I did some google searching to read about specific issues (earwigs or Japanese beetles) but the most comprehensive is a little purple booklet that Swan Island Dahlias sends with its orders. They also have the same information available on their website. I also email the tuber suppliers themselves with questions. - in the spring I have someone till the beds and add compost; I'm not sure how much the guy uses since I'm never around when he does it. But I ordered 4 cubic yards for 4 beds that are 25' by 4'. I'm not even sure how far he tills into the land either. 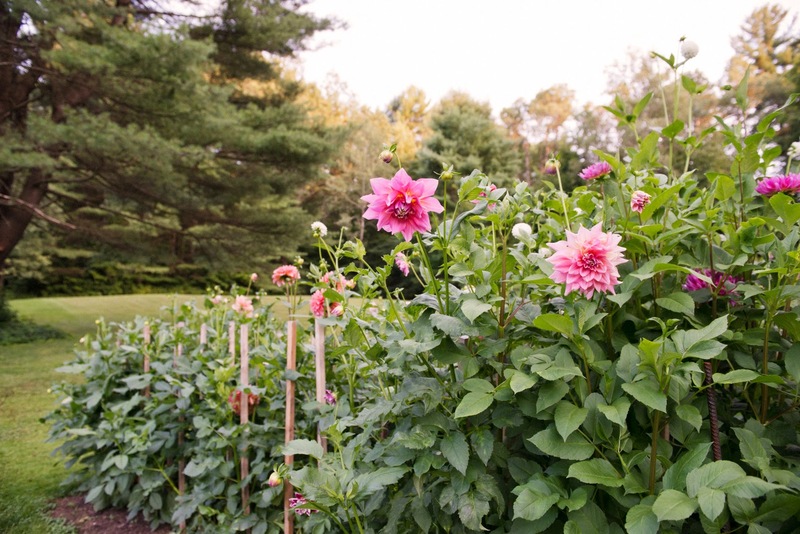 - I plant tubers generally in two rows. Although in some spots I'll add a third row because I have way too many tubers. However, I try not to overcrowd the plants (tends to yield weak stems when I have done so previously). 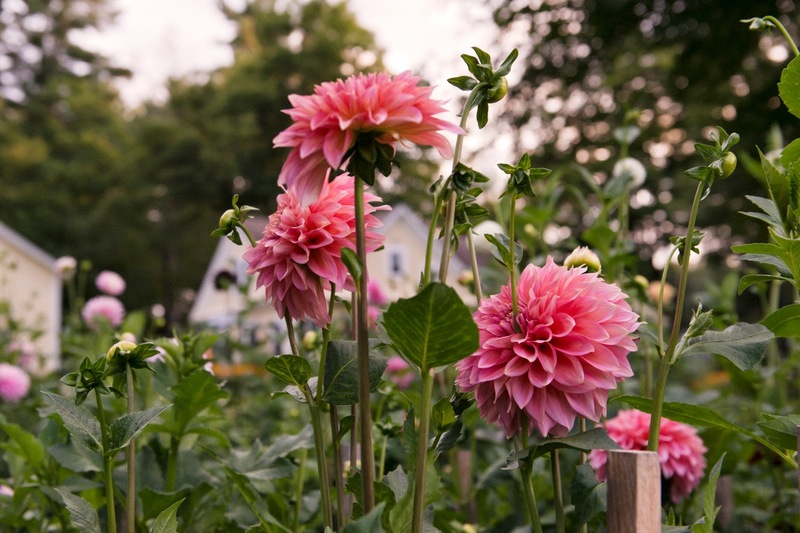 - I stake each one at the time of planting and then throughout the season I tie the plants to its stake. I also add a handful of bone meal in each hole (I have small hands though). - I apply a foliar spray of fish emulsion/kelp mix and aerated compost tea every other week. I'm not sure this helps but have read that it does. - I find myself weeding up into July but allow the weeds to get big enough to pull. Now that my plants are large (now 3' or taller) the weeding is very light. 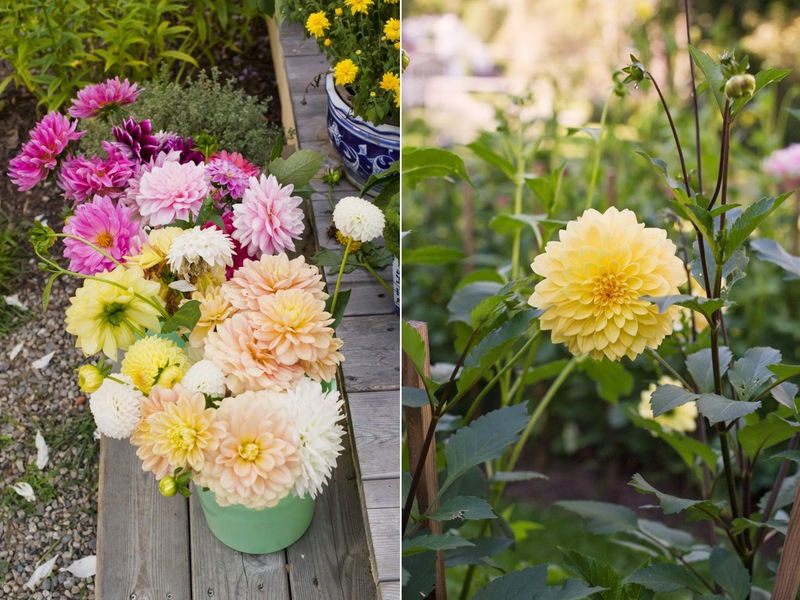 - Toward the end of season, I put a frost cloth over the dahlias at night just in case. However, by last week of October, I let the frost kill the plants and I cut off the plants, leaving 6-8 inches of the stems. I cover any holes with aluminum foil to keep water from getting into the tubers. 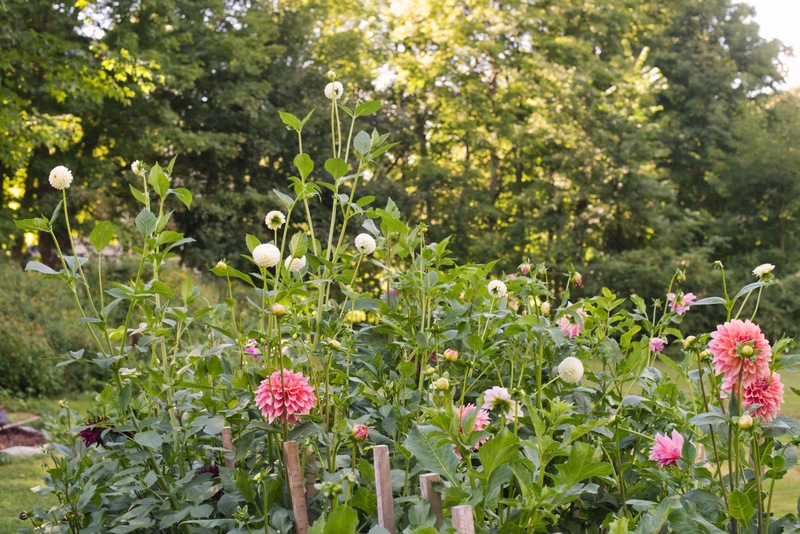 I pull the tubers out 1-2 weeks later and wash the dirt off and dip them into a bleach solution. I then leave the tubers to dry in the basement to develop "skin" and then divide and wrap individually in plastic wrap. This year I'm not going to do the plastic wrap bit because of timing of other obligations. 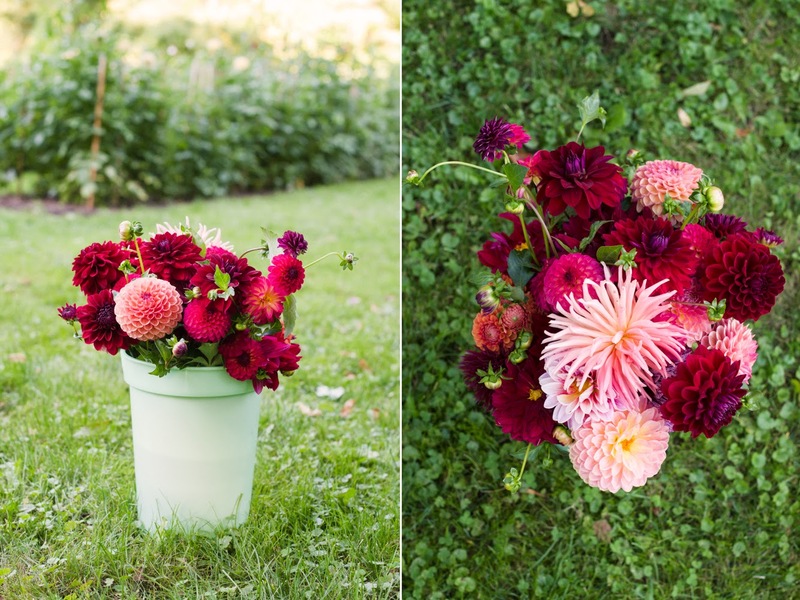 Instead, I plan to put them in cardboard with peat moss." i had a random thought about japanese beetles when discussing how to deal with a friend's wasp problem. i remembered while traveling in cambodia we had these electrified tennis rackets to swat at mosquitoes and the static electricity would kill them on contact. the japanese beetles have been terrible this year and they're still around and feasting away on my garden so obviously i ordered a zapper racket from amazon to try on the beetles. picking off beetles and drowning them in soapy water is easy enough, albeit gross. but imagine zapping them in mid-flight? yes, evil maniacal laugh is happening as i'm typing this. hopefully there will be a few beetles left to get! 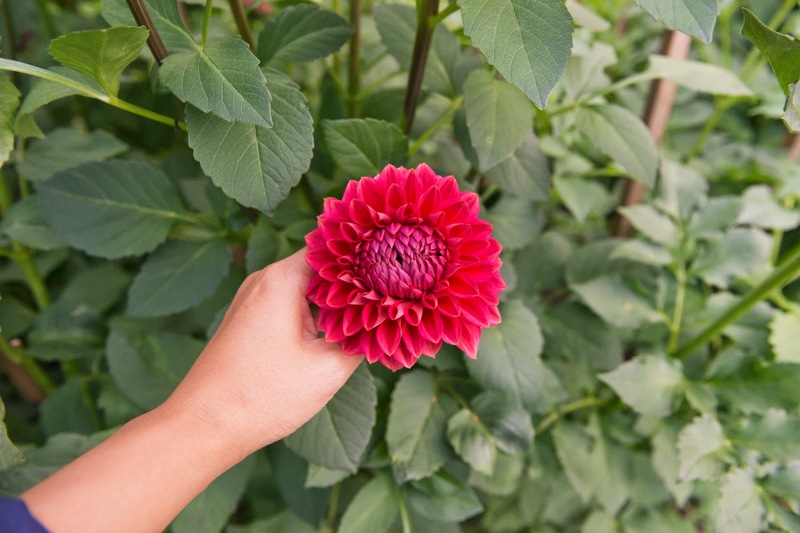 these dahlias are not supposed to be > 8' tall! 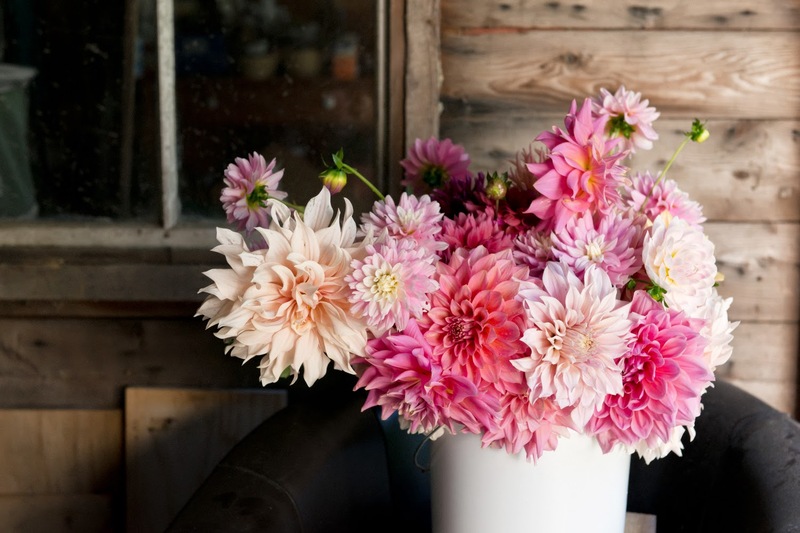 Your dahlias are the prettiest! I duct have space to grow, but I've totally bookmarked this for the future!